I cannot believe the amount of energy Patience has. 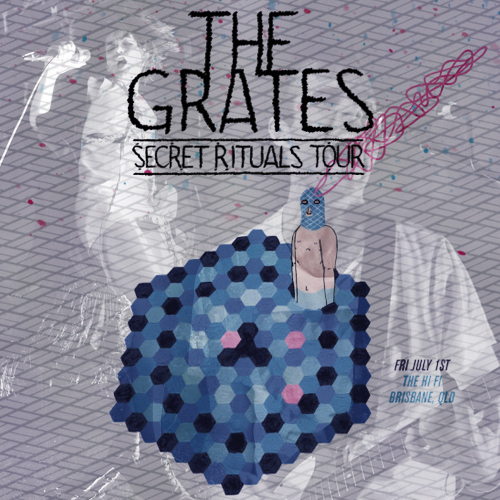 Interesting to see the Grates go from a 3 piece band, to a 2 piece band with 2 other members at live shows. Personally, I love the new songs and it was great to hear them live. Patience crowd surfing was fantastic, and her monster suit with confetti in the encore was great. Will be sure to see them next time they are in town. Got the all clear from the guys to tape this show. First time recording with my sub-cardioid caps. I love the sound but got some mild bass distortion, despite running my levels low, powering on 12V, line in and having no level peaks. Probably didn't help that I stack taped. Regardless, it's barely noticeable.